Following on from previous Rum tastings (Foursquare Rum in 2017 and Botran / Pusser’s Rum in 2016), this year we have a slightly eclectic selection of rums and styles from around the world. We will be starting with a couple of Spiced Rums (you can’t ignore their importance these days), moving on to Botrans superior white rum and finishing up with various aged rum styles. We will be trying some familiar rums (Botran and Pusser’s) and some new rums from Bayou Rums of Louisiana, USA and Canaoak, a Nicaraguan / Mauritian blended rum. The Rum Tasting will be hosted by Ian Robinson and Peter Thornton from Cellar Trends. Cellar Trends are the UK agents for the rums will be tasting and both Peter and Ian are very knowledgeable about the various rums we will be tasting – so have your questions ready! Please do not hesistate to email or telephone 01329 822733 if you have any questions. 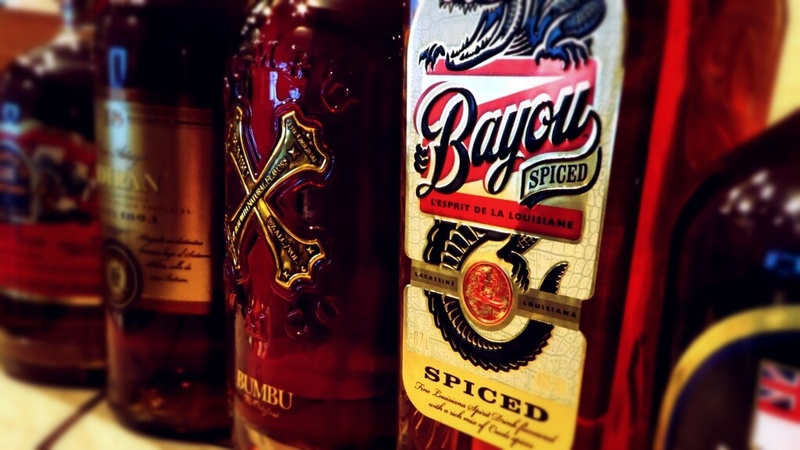 Bumbu Rum, with natural flavours 35% – a superior spiced rum, a multi island blend, think bananas, crumble and custard! Bayou Spiced Rum 40% – spiced with a unique mix of Creole spices assembled by master blender Reiniel Vicente. Bayou Select Rum 40% – matured in a combination of Bourbon and Bordeaux wine cask using the solera ageing process. Botran Reserva Blanca Rum 40% – a superior white rum from Guatemala. Botran Solera 18 Rum 40% – Botran’s top rum, specially selected from an 18 year old solera. Canaoak Pure Blended Rum – a new blended rum made with a blend of Nicaraguan and Mauritan rums aged for 4 to 8 years. Pussers Rum Gunpowder Proof 54.5% – the legendary Navy rum bottled at Gunpowder Proof. Pussers 15 Year Old Rum 40% – Pusser’s 15 year old is a completely different beast to the Gunpowder Proof (which is 3 years old), lighter, mellower and softer – World’s Best Rum at the 2015 World Rum Awards.